Looking for a USED SGS-T4012AHD? Double Column, fixed-beam Grinders feature wide extended tables for grinding medium to large parts. 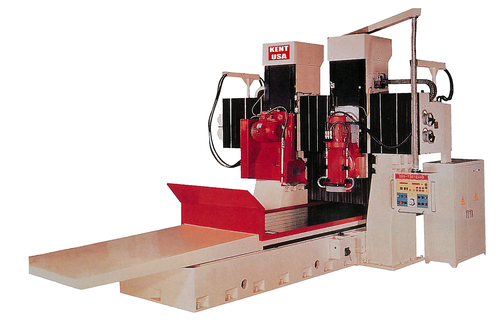 With the work capacity ranging to 78” x 800”, this line is suitable for endless grinding options. These powerful machines offer 3-axis automatic movement with incremental downfeed, electronic auto-crossfeed, high tensile precision GB350 Meehanite castings, and precision hand-scrapped double V turcite table ways for smooth and long-lasting precision. Looking to Purchase a New KENT USA SGS-T4012AHD?